Get our free plan templates to get started with them today! Although projects vary, the process of setting up an actionable project plan remains the same. Good managers know how to do this and often stick to a standard process of project planning before any work begins. We all know how exciting it is to work on a new project. While it’s great you want to get on completing tasks as soon as possible, it’s a mistake to just dive in without planning ahead. Take the time to prepare a simple project plan to keep your time, money and resources in check. Start with your goals and break those down into smaller tasks that need to be taken care of in order to accomplish your project goals. Step 1 - What determines success? Who is the project for and what ultimately determines whether it is a success or failure? This is the first and probably most important step. Too often, we set out on projects without a real understanding of what we actually need to achieve. A good manager should be able to take the desires of all stakeholders involved and synthesize them into clear and measurable goals. Almost all projects have multiple stakeholders involved and it’s important to consider all sides when setting a plan. An internal project is one completed mainly for the company itself. This could be something like redesigning the office space, ordering new office furniture, revamping the company’s website, or developing a mobile app. An external project, on the other hand, is one where a product or service is provided to a client. This could be manufacturing a new line of clothing or consulting or providing a marketing plan pinpointing new markets the client can penetrate. The thing is, even an external project has internal stakeholders that must be appeased. For example, when designing a new logo for a client’s brand, you may think the only goal is to deliver a logo that makes the client happy. This is only half the picture. What if so many hours go into the project that it is no longer profitable for you to take on the project? Not sure your boss would be too happy about that. What if you provide a logo that your client loves but for some reason or another other potential clients hate? This would most likely make it more difficult to get new business in the future and would not be viewed as a success. To summarize, a good manager must think about all the parties they need to please, what each one wants, and give weight to each in order to determine the end goal and maximize the outcome. Whether it’s a big project or a smaller one, this simple project plan template lets you visually organize the multitude of tasks and decisions involved in any given job. 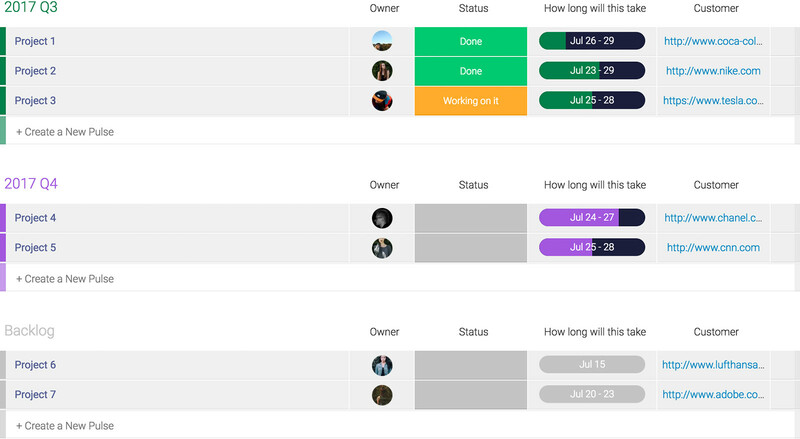 You can easily assign tasks to relevant employees, track their progress, and deduct the project status. Customize your project plan columns with colors, font sizes, highlight key information and so on, to make the most relevant information pop at a glance. If goals are not SMART, it will be difficult to determine if and when they are achieved. As long as they are clearly defined you will be able to check them off the list as they are completed. Goals are often made up of smaller goals or tasks that are part of the larger picture. For example, if the project is a new website for a client, the goals might be to design a mockup, write content, develop, QA test, client approval, and launch! Of course, in between there are many sub-tasks involved that must also be tracked but these can be viewed as the 6 main goals or achievements of the project. After goals are defined, they must be prioritized. This will get everyone aligned and focused on what matters most. The work isn’t going to get done by itself. Team members must be assigned to each specific task so everyone knows who is responsible for what and what each person should be working on at each phase of the project. This is an essential component of a good project plan. A manager should consider each team member's strengths and weaknesses and assign work accordingly. Maybe one member is better at client-facing tasks like meetings and phone calls but another is better at preparing documentation to push the contract through. Tasks should be assigned after carefully considering the end goal and what each team member will be able to best contribute to that success. Another important factor to consider when assigning responsibility is current availability and workload (which we will address later when covering timelines). A member's current workload should determine whether or not they have available bandwidth to take on more work or whether it makes more sense to assign the task to someone else. What is the final product or service that will be provided to the client? A deliverable is the output from your work. It could be a document or report, software, a manufactured product or even a constructed building. A deliverable is dependant upon completing all the tasks that make up the project plan. It is CRUCIAL to clearly define and confirm the deliverable with internal decision makers for internal projects and with the client for external projects. Clearly defined deliverables allow managers to set appropriate goals. Deliverables should be defined in as much detail as possible to prevent any issues down the line. There’s nothing worse than spending weeks or months on a project, investing countless resources and many hours only to have the client tell you that they were expecting something completely different. This could be easily prevented by laying out the specs and setting expectations for the client in advance so they know what they will receive upon completion of the project. A timeline will give a visual representation of how the long the project is expected to take as a whole and how long each individual task will take. Any experienced manager knows that projects do not always go exactly as planned. The timeline is an estimation or expectation as to how long things will take but hiccups often occur along the way and a good manager must have a plan for this. A timeline should allow for a certain degree of flexibility in the event that the scope of the project changes, items get stuck along the way, or tasks take longer to complete than planned. 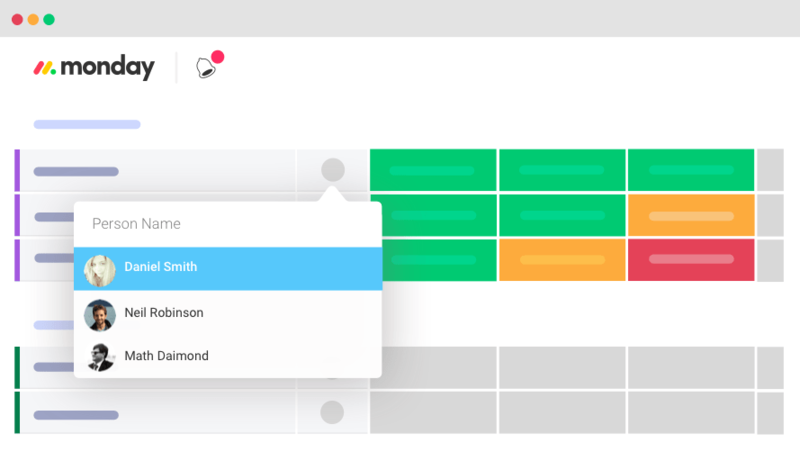 monday.com is a simple to use project management tool that comes equipped with a drag-and-drop timeline feature that’s easy to set up and fully customizable. This is the part that allows superstar managers to shine. It’s time to communicate the project plan with all team members involved to get everyone on board and ready to work. This is the part that separates leaders from bosses. A leader manager is able to inspire workers to give the project their all for the sake of the team. He or she should be able to communicate all the elements in a project plan in a way that is easy to understand and that gets everyone on board and excited to begin work. A good leader manager unites all team members around a common goal and illustrates the big picture. Visibility into the entire project plan and what other departments are working on is a way to help the average worker feel a sense of responsibility and accountability for each of their tasks. Now that the team is excited and ready to work as a well oiled machine, it’s time to break out and get started!